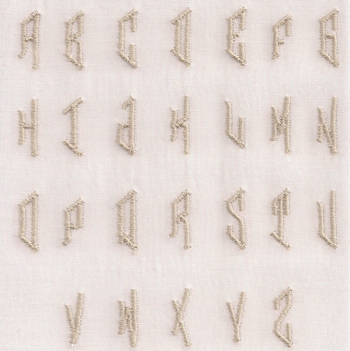 Satin stitch letters in left, right, and center formation to form a diamond motif when combined for monograms. Tallest center letters are less than an inch high. 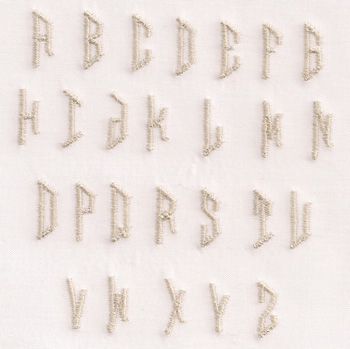 Beautiful for cuffs and collars, and in "little places" such as personalized labels. 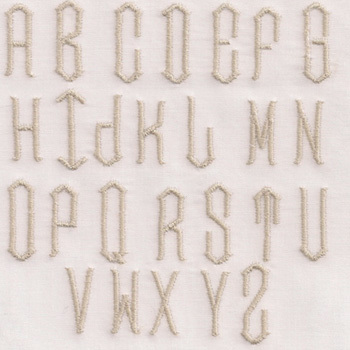 Three additional designs are included to "frame" the letters if you desire. Each fits inside a 2.5 inch square.